This is my new favorite BBQ chicken recipe. I loved everything about this dish. It was perfect in my book. The sauce is very different from my usual BBQ sauces. This BBQ sauce has Italian dressing in it. I wasn't sure how I would like it, but I absolutely loved it! The chicken is marinated in Italian dressing and basted in the zesty BBQ sauce as it grills. I think the BBQ sauce would also be great on a grilled pork tenderloin. Give this a try the next time you grill out. You won't be disappointed! 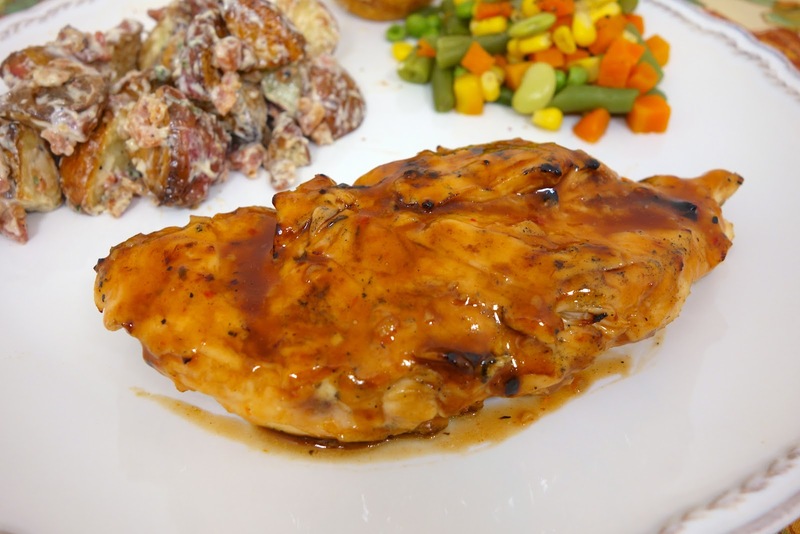 Pour 1/4 cup dressing over chicken in shallow dish or ziplock bag; turn to evenly coat both sides of each breast. Refrigerate 1 hour up to overnight. 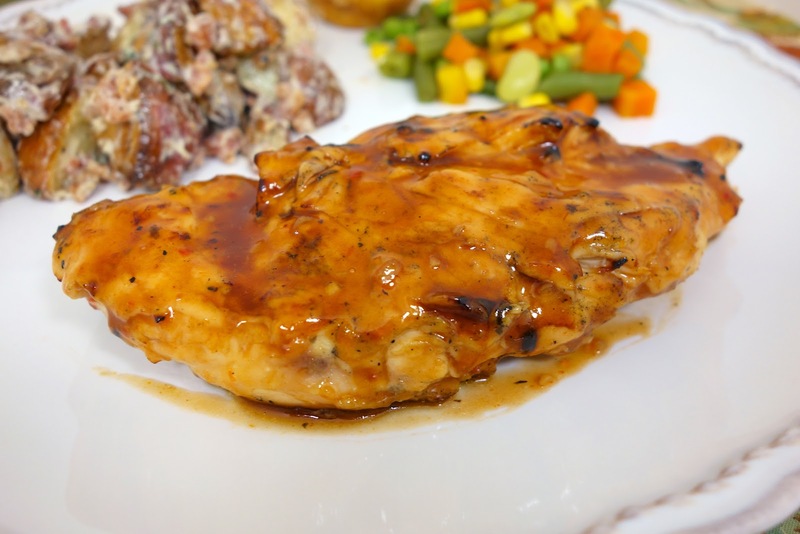 To make the BBQ sauce, whisk together barbecue sauce, marmalade and remaining dressing. Remove chicken from dressing. Grill chicken 5 to 7 min. on each side or until done, brushing with sauce mixture for the last few minutes of cooking. Chicken looks good. I'm curious about the potatoes too. I agree, chicken looks wonderful. But what are those potatoes? That is the bacon ranch potato salad - I posted the link on Tuesday. I am not at my computer or I would post it here for you. Enjoy!